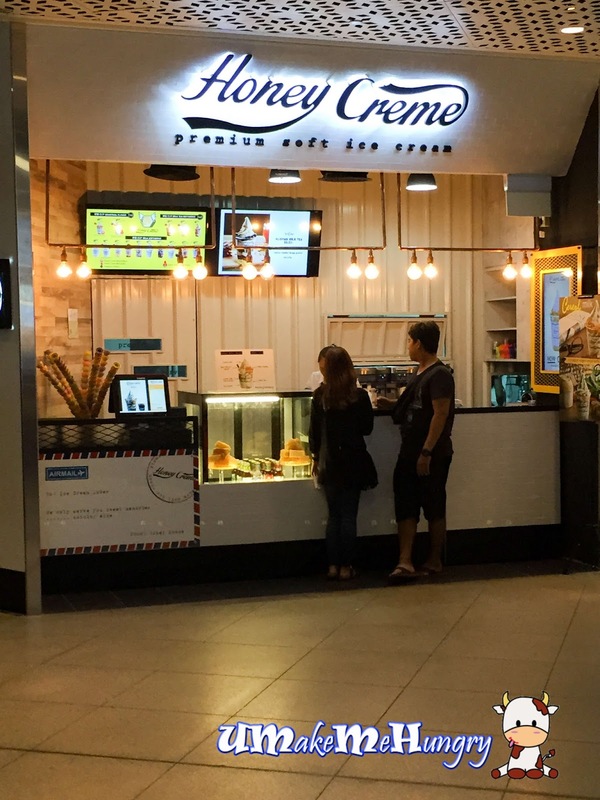 With a number of soft serve ice cream chains popping out in the malls these days, I find it hard to remember its name especially when their names were rather close with words like "honey", "milk" and cow. 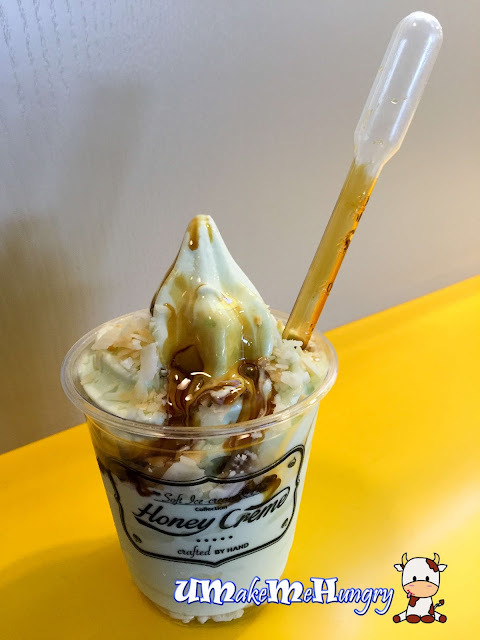 Honey Creme concept is originally from South Korea and they are popular for serving soft serve ice cream made from premium ingredients topped with organic honeycomb. Besides the usual milk soft serve that they have in cups, they do have some local milk favour like Teh C, Teh "Gah Dai". Ice cream can be served in cone or cups. I had ordered one of their special edition Ice Cream, Pandan Gula Melaka and was totally amazed by its taste. It was a reminiscent of "Mr Softee's Chendol" from 7-11 which was also my favourite. Gula Melaka is contained in a disposable pipette,allowing ourselves to squeeze the ideal amount of it onto our ice cream. 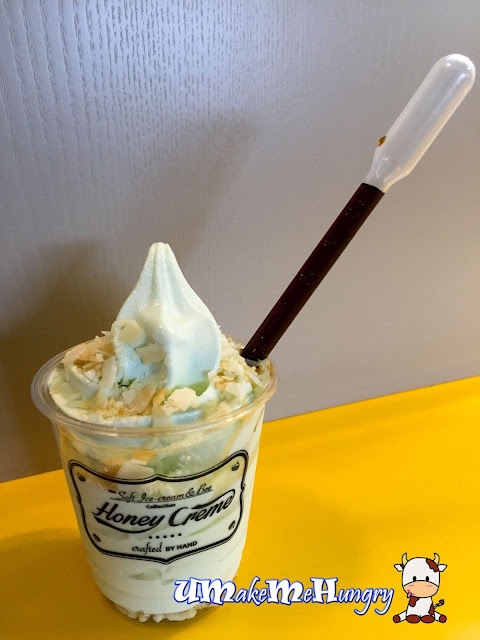 Pandan Soft Serve was not too milky and has a faint green color. It tastsd heavenly with the hint of pandan. You will find some rice krispies at the bottom of the cup, coconut flakes at the top and in the middle of the cup, you will find palm seed (attap seed) that was cut into smaller bits. As an overall, I was impressed by the taste however price wise, it might be on a higher side for a cup of soft serve like this. Nevertheless, I will still patronize them once in a while.